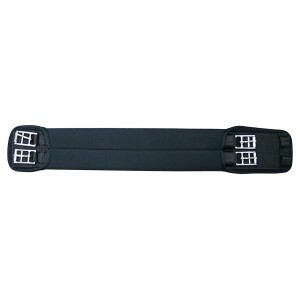 15 strand white acrylic cord/string cinch with a solid fittings. 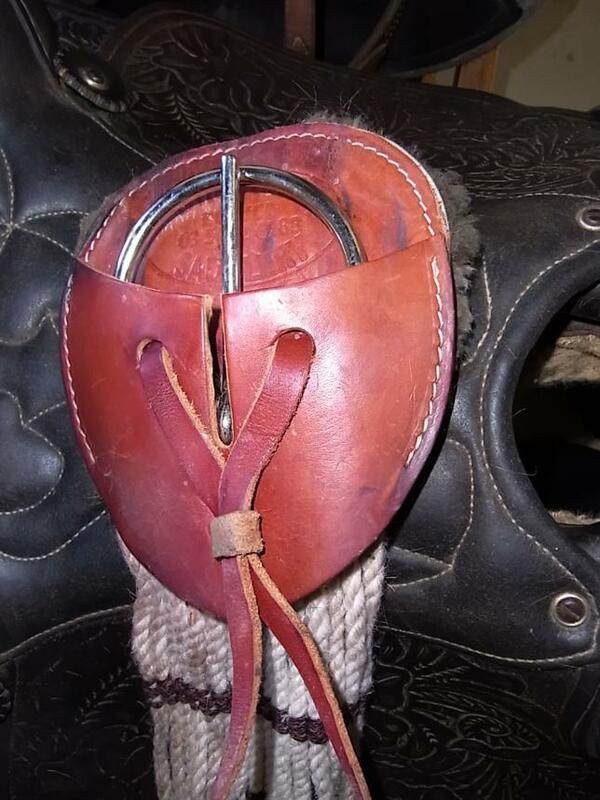 This ring to ring cinch has a removeable neo-prene liner making it easy to clean. The rings have no tongue buckle to poke you or your horse. 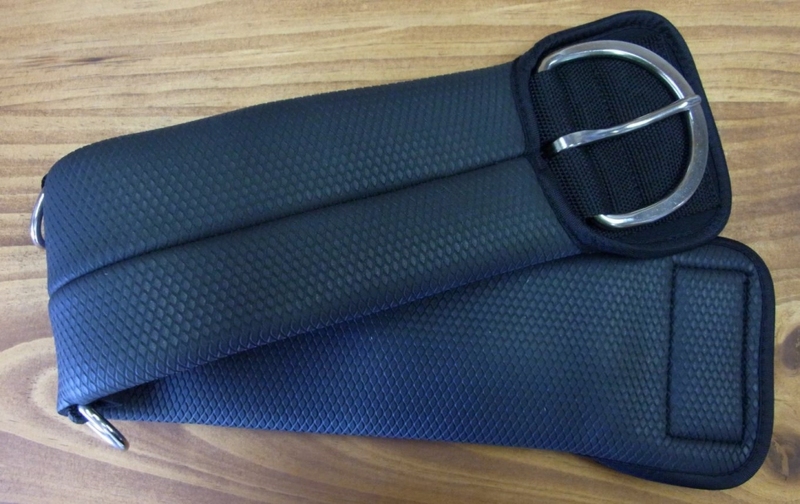 The softness of these girths is amazing! 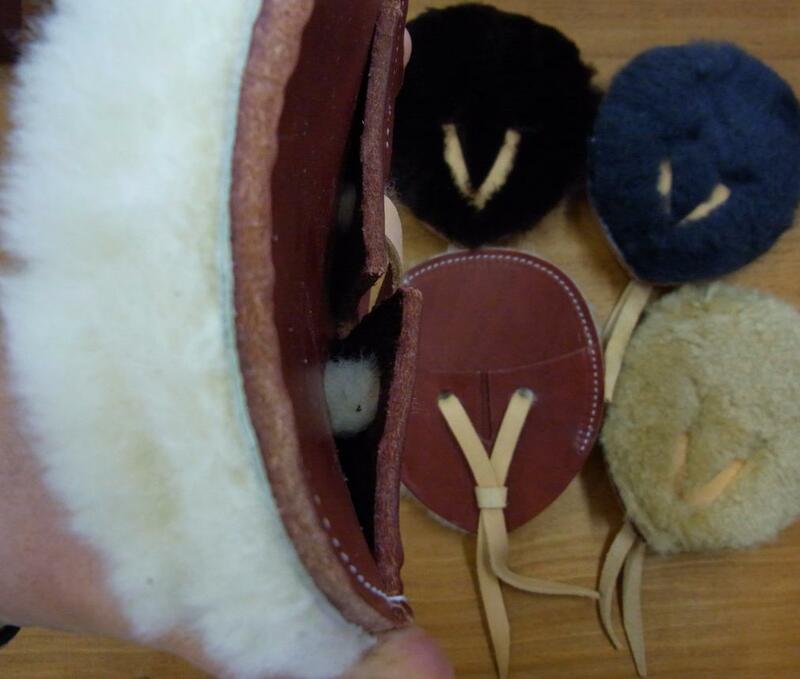 They have a super soft squishy gel feel to them which is very luxurious. 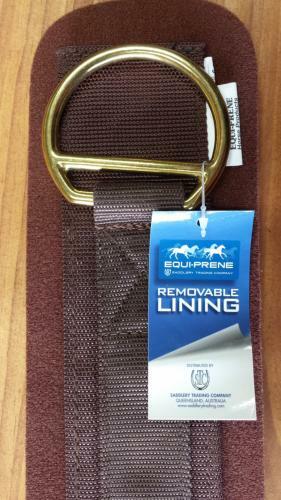 Lovely soft and strong acrylic cord cinch in brown and white tonings. 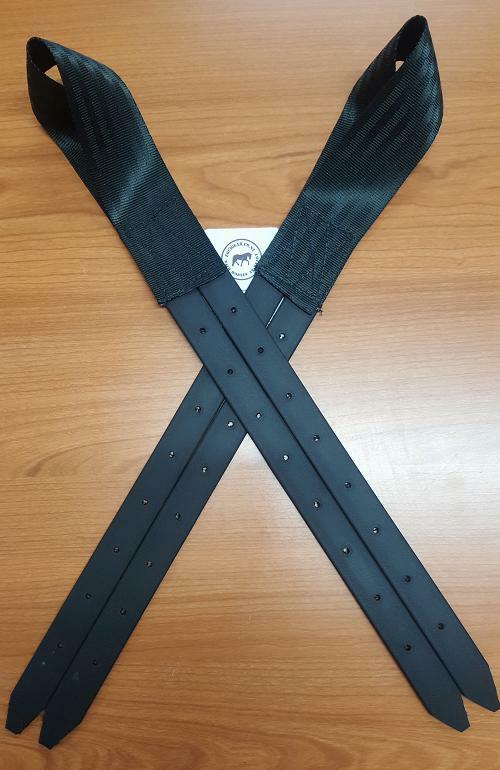 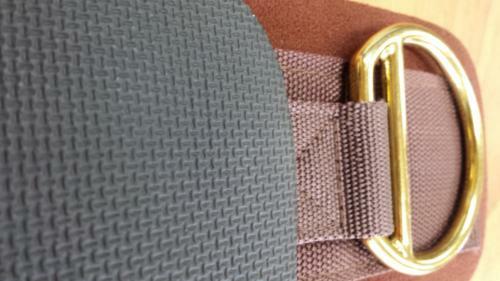 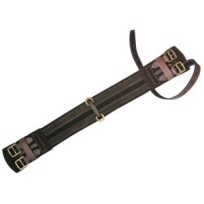 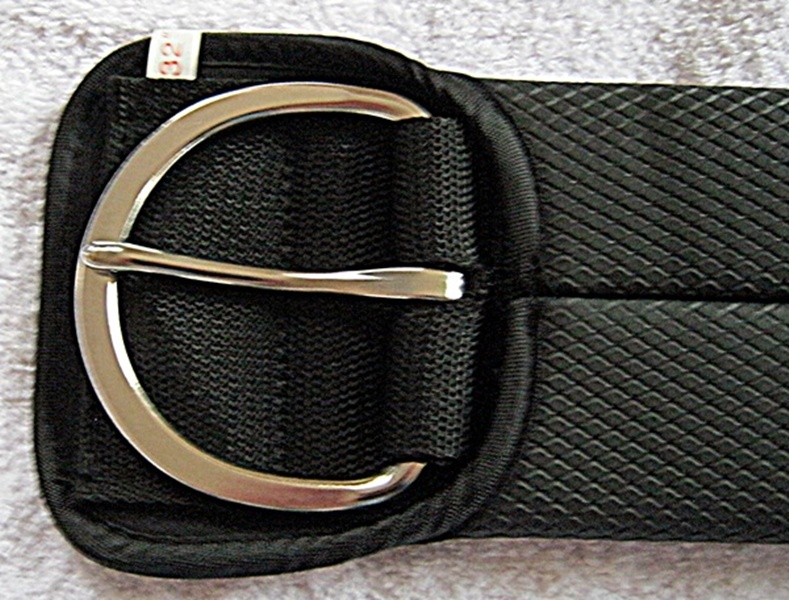 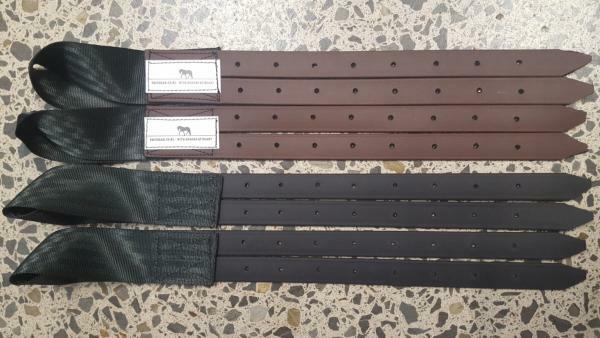 Popular for use on Stock Saddles and hunting as it has the double purchase buckle strap. 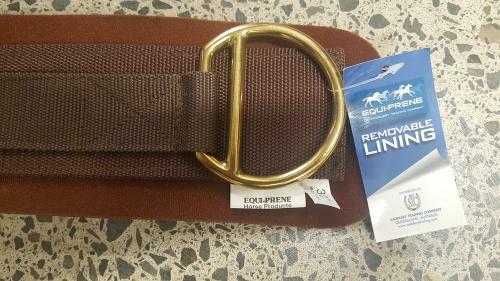 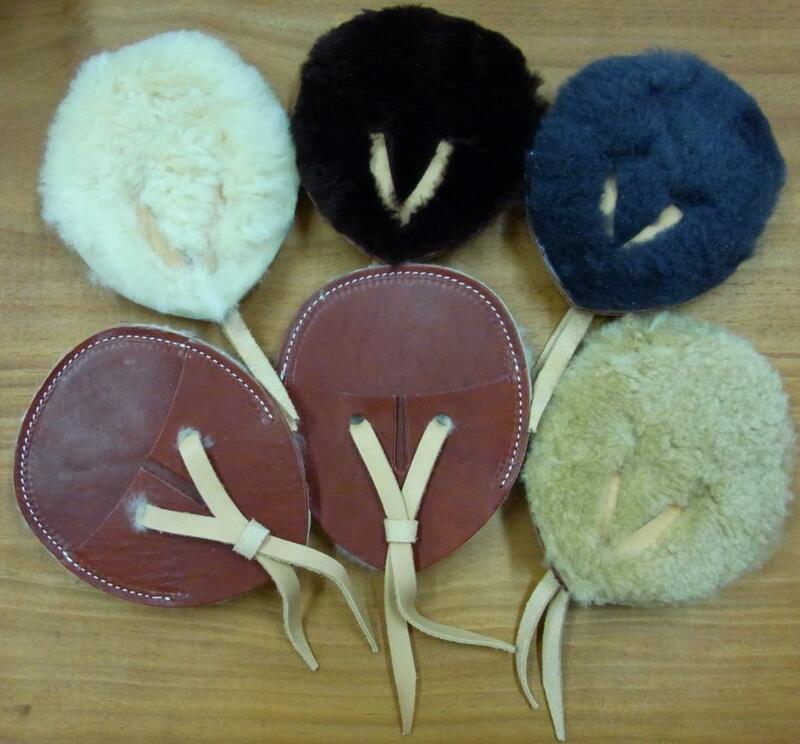 Exclusive to Equigear these handmade leather and fleece cinch protectors stop the cinch ring from digging into your horses side.